Michael Chipman is a versatile singer whose performance interests range from art song to Baroque music to contemporary opera. He recently recorded the role of Roderick Usher in Gordon Getty’s new opera Usher House with the San Francisco Opera Orchestra and sang the baritone solo in Bach’s Cantata 47 with Utah Chamber Artists. In November 2005 he made his Carnegie Hall debut singing the baritone solo in Haydn’s Mass in Time of War with the New England Symphonic Ensemble. Other recent performances include the role of Ceprano in Rigoletto with Hawaii Opera Theatre and a concert tour of London and Paris with Utah Chamber Artists as the baritone soloist in the Requiems of Fauré and Howells. Upcoming performances include Pinellino in Gianni Schicchi with Utah Opera, Marquis de la Force in Dialogues of the Carmelites, Poulenc’s Banalites at the Intermezzo Summer Chamber Music Festival and the Howells Requiem at the Deer Valley Music Festival. Mr. Chipman was chosen to participate in a weeklong workshop focusing on Bach cantatas with Ton Koopmann at Carnegie Hall and has been a soloist in the Bach Christmas Oratorio with the Orchestra of St. Luke’s and the New York Baroque Soloists. He sang the role of Major-Domo in Samuel Barber’s Vanessa with the New York Opera Project and Masetto in Don Giovanni with New York’s Modus Opera. He has sung with Hawaii Opera Theatre, Cincinnati Opera, Lyric Opera Cleveland, Utah Opera, Lyric Opera of New York, Oberlin Opera Theatre, Utah Festival Opera and the Brevard Music Festival Opera. He has performed as a soloist with the Utah Symphony, Vancouver Symphony, Honolulu Symphony, National Chamber Orchestra, Oberlin Musical Union and on seven international television and radio broadcasts with the Mormon Tabernacle Choir. He was a regional finalist in the 2001 Metropolitan Opera National Council Auditions. 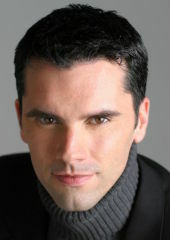 He made his New York operatic debut in 2002-3 performing the roles of Melchior in Amahl and the Night Visitors and Papageno in Die Zauberflöte with Lyric Opera of New York. Mr. Chipman is a graduate of Oberlin College Conservatory where he studied with Richard Miller. He also studied privately for five years with Steve Smith of the Juilliard School, with whom he was the co-author of The Naked Voice: A Wholistic Approach to Singing published by Oxford University Press in March 2007. He is an assistant professor of voice at Westminster College in Salt Lake City.